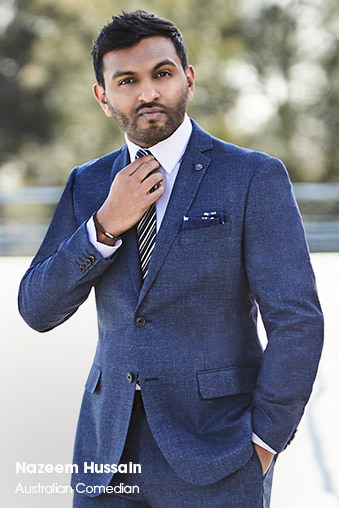 vanheusen.com.au offers free standard shipping on all orders over $100 (Australia-wide only) and a flat shipping rate of $9.95 for orders under this amount. For all New Zealand orders, delivery is $14.95 (AUD). Please see the shipping page for more details. We only ship to Australia and New Zealand. For international stockists, please visit this link. We always aim to process your order as quickly as possible, however please allow 2-5 business days for dispatch. Please see the shipping page for further details. When we have dispatched your order, you will receive a confirmation email with a link to our relevant partner carrier's website to track your order's progress. We offer 30 day refunds on products, including returns on products if you simply change your mind. Our refund policy includes all full priced and promotional products and incorrect sized purchases. In order to qualify for a change of mind refund, items purchased must be returned in its original condition (unworn, unwashed, tags attached). Refunds will only be processed using the original payment method. Simply log onto your account and follow the instructions of the Returns page. I'VE RETURNED SOME ITEMS – HAVE YOU RECEIVED THEM? Returns take up to 10 working days to process from the date that the goods are physically received by our warehouse. Refunds are processed using the originally chosen payment method. Refunds take up to 5 working days to register in your credit card or PayPal account. Our helpful customer service team is available to assist with any further enquiries on this matter. Phone: 1300 691 101 (Monday – Friday during business hours 9:00am – 5:00pm AEDT) or email: vhonline@vanheusen.com.au. CAN I RETURN A PURCHASE FROM VANHEUSEN.COM.AU TO A VAN HEUSEN RETAIL STORE? Sorry, online purchases cannot be returned in store. Equally, purchases made through our retail stores cannot be returned online. We have our own retail stores and are also stocked at David Jones, Myer and leading retailers Australia and New Zealand-wide. Please visit our Store Locator to find your nearest store. I HAVE QUESTIONS ABOUT PRODUCT SIZING - WHAT DO I DO? We have a Fit Guide page providing detailed sizing information for each product category and explaining how to take your measurements. This is also available when you click onto an individual product, where there is a tab titled 'View fit guide'. Our customer service team is also on hand to help out with specific questions, whether about the fit or feel of a garment, or style advice. Phone: 1300 691 101 (Monday – Friday during business hours 9:00am – 5:00pm AEDT). We accept Visa, Mastercard, American Express and PayPal. We value your privacy and work hard to ensure that your details are secure. 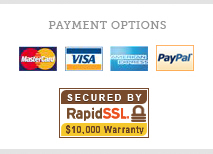 All transactions are verified by Rapid SSL certificate as well as maximum 2048-bit Secure Sockets Layer encryption. E-gift cards are valid for 12 months. If your gift card balance does not cover the entire value of your order, you will be prompted to pay the remainder via your chosen payment method. Please be aware that both your username and password are case sensitive and must not contain any spaces. Make sure you are using the same email address and password you registered your account with. If you can’t remember your password, click on the ‘Forgotten Password’ link on the Sign In page. You will be asked to enter your email address and we will send you a confirmation email with a link that will allow you to create a new password. Please be aware that both your username and password are case sensitive and must not contain any spaces. If your email address isn’t recognised but you are still receiving Van Heusen emails, this could mean you haven’t registered an account. Click the register link to create an account. Our customer service team is on hand. Phone: 1300 691 101 (Monday – Friday during business 9am – 5:00pm AEDT) or email: vhonline@vanheusen.com.au.